So far Stacey Ray has created 85 entries. Mark your calendar to attend the 2019 ArtSpark gala event on April 26th at the Shedd Institute of the Arts in Eugene! Join us for an evening of food, drink, and fundraising to ignite opportunities for kids to make art in school. This gala evening features auctions, dinner, entertainment, and art from notable local artists. 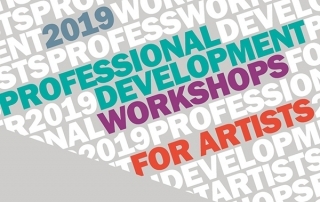 Lane Arts Council, in partnership with the City of Eugene Cultural Services Division, presents our 2019 Professional Development Workshops for Artists! These professional development workshops and panel discussions support artists, makers and creatives to strengthen their capacity, expand their creative practices and realize their visions. Applications for our Product Design Apprenticeships are available for spring term. Apply by March 10th! Lane Arts Council is partnering with the Hult Center for the Performing Arts to share about a residency with visiting artist JOJO Abot, as well as two upcoming workshops. We value that these workshops are creating opportunity important dialogue around socially-engaged art, and we would love to see our community involved. Did you know that when you donate to arts and culture in Oregon you can double your impact for FREE? Oregonians have a unique opportunity to fund cultural activities in the state and to double their impact for free with the Cultural Tax Credit. Make sure to claim yours. Applications for our Product Design Apprenticeships are available for winter term. Apply by December 16th! Lane Arts Council has an opening for a contracted teaching artist as part of our new Creative Link arts integration program. Cultural Opportunity Grant Due Monday, October 15th! The Lane County Cultural Coalition (LCCC) offers Cultural Opportunity Grants to support cultural programs and projects, preserving and enhancing Lane County’s diverse arts, heritage, and humanities efforts. Funds are provided by the Oregon Cultural Trust.